Let me just say to you first and foremost, church, I love you. I love you and I thank God for you because over the last several years that we have journeyed together, and I suspect throughout most of your lives, you’ve worked very hard on the things that matter. You call your representatives, write emails, phone bank, door knock, march, demonstrate, pray, you show up, give money, donate supplies. You show up for racial justice. You show up for gender equality. You show up to help restore the right to vote for thousands of Minnesotans. You show up to workshops, conferences, worship services, planning meetings, budget meetings, congregational meetings, and you show up for one another. We love hard and we love well. Just as it is embedded within our mission statement, “To Serve, Not To Be Served”, we are a people who live an active faith. As a person of color, I can’t imagine the feelings you have as you process the information we are all learning about relating to our social locations, our social conditioning, and about the historical injustices that have marred many of our perspectives about the past. I know that for some, guilt is an inescapable feeling. 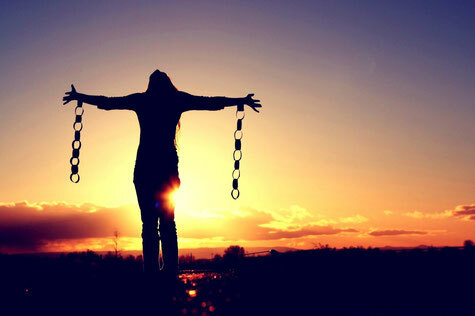 Guilt can be debilitating, and guilt can be an impetus that propels us forward. None of us can change or shape the past. Church, we are a community of creators, producers, builders, thinkers, writers, teachers, sports enthusiasts, musicians, artists, doers. So, what can you do to productively release the guilt you might be feeling? 1. Continue to build cross-cultural relationships with the people we live, work, and worship alongside. The people in our neighborhoods, and people who live in other neighborhoods that we might meet at social, church, or community events. 2. Create something, produce something, make something, or do something for the benefit of people outside of your cultural or social group without the expectation of receiving anything in return. 3. Understand your cultural and ethnic history, American history, and the history of our state as it relates to people of color just so that you are informed. The best way to change the past is to not repeat it. 4. Be honest about how you feel so that we might remain in dialog and relationship together. Honest and respectful conversations build trust and help to break down barriers. Let us continue to embrace new ideas and new information. And if you feel guilt related to any of the social concerns and lived realities we are learning about and tackling together, let us also commit to productively redirecting the energy from the guilt into ways that positively impact how we live and relate together. Be proud of who you are, church. Be proud of your success. Be content with your achievements. Be present for the life you are living. Love your spouses/partners and children. Achieve your goals. Love your faith family. Take time to see the people that you live, serve and worship alongside. Truly see them. Enjoy your life and live it to the fullest. Having privilege isn’t bad. May we all commit to doing something productive with the privileges we have so that we might bring about a more peaceful and just world. Rev. 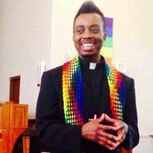 Lawrence T. Richardson is the Minister for Faith Formation at Linden Hills Congregational United Church of Christ, and he is also the Social Media Strategist for the Center for Progressive Renewal. When he is not blogging, writing and ministering, Lawrence spends his time with family, enjoying nature, practicing yoga, and being an active presence in both the Transgender and Progressive Christian communities. You can find Lawrence online at www.LTRichardson.com and on Twitter @Larry2_0.